By Gary Gamble July 15, 2015 October 15, 2017 Korean Cinema / movies / upcoming releases to watch out for . Part 2 of my 10 upcoming S.Korean dramas/thriller to watch out for. The film follows two guys called Painter and Driver. I am not sure if they are cops or are just out for revenge. They spend their days dealing with scum and they are in pursuit of an evil murderer, or a serial killer. When they meet an Estonian girl, some flirting starts to happen it sparks some jealousy from an off-duty American soldier, and things don’t end too pretty. The film was shot in both S.Korea and Estonia. More to follow on this film as it is announced. The film focuses on two gang members, these guys are known as “dogs”. They target Koreans who are on holiday abroad, kidnap them and kill them without any guilt or remorse. When one of them is thrown out of the gang, he then goes rogue and decides to kidnap someone by himself for his own sadistic pleasure. The mother of the person he’s kidnapped tracks down the gang he used to be with to find out where her son is and get him back. The vibe that I am getting from this film is that it is not suited for everyone. Chances are though, if you’re here reading about new South Korean movies then you probably like your films a little bit different. Yoon Ji-wook has a secret though, he has wanted to be a woman since he has been a teenager but is frightened to do or say anything because of his reputation. But before he can do anything, a gang that Yoon Ji-wook took down is back, and closing in. 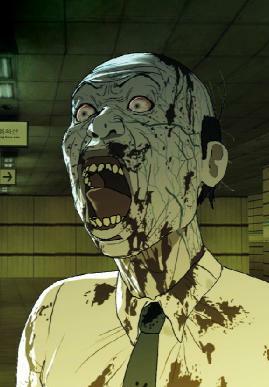 They will stop at nothing until Yoon Ji-wook is dead…he will stop at nothing to become a woman. The first part will deal with the infection and quarantine. The second part (pretty sure it will be called Busan Bound) will be about a train full of infected, flesh-eating zombie passengers on route to Busan. Really looking forward to this..hopefully, there is not much of a wait for the second part. 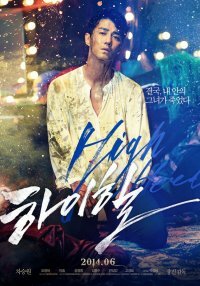 Korean Cinemamoviesupcoming releases to watch out for .